The much anticipated Santigolden Age Collection for Smashbox goes on sale nationwide today. 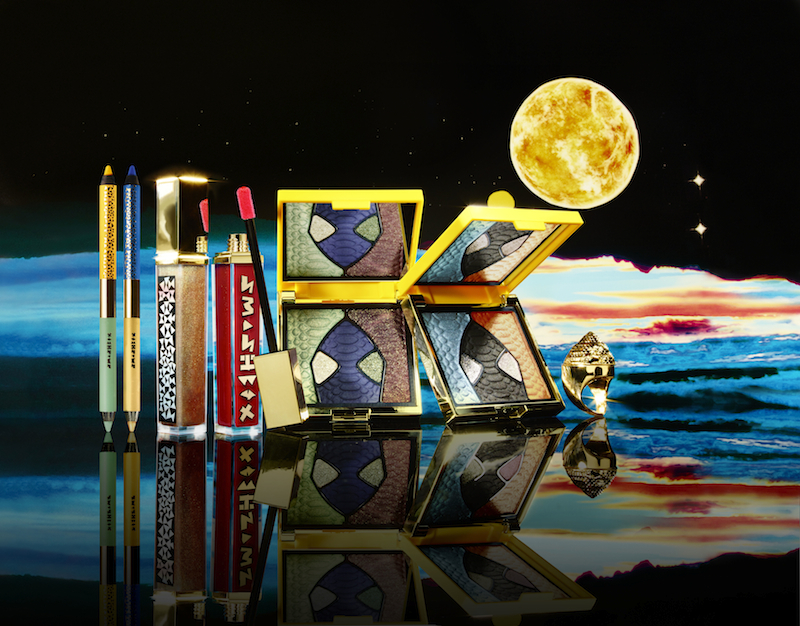 Santigolden Age is a stunning collection which artist, Santi White aka Santigold has produced exclusively for Smashbox. It is vivid, playful and influenced by her strong creative sense while playing homage to the post-2012 Golden Age. Santigold is a talented musician, her second album, Master of My Make Believe was released in 2012 and became her first #1 album, topping the Billboard Dance/Electronic Albums chart. She is the winner of an ASCAP Pop Music award (Vanguard Award), and has been nominated for a Q Award, MTV Europe Music Award, and BRIT Award. The collection consists of two Eye Shadow Collages, two Be Legendary Lip Glosses, a Be Legendary Lipstick Ring, two Double-Ended Limitless Eye Liner and two Nail Polish Art Strips. All of the products radiate energy, colour and warmth which is a diversion from the masculine and chrome like branding of Smashbox. The eye shadow palette is a real stunner and the lip glosses are truly beautiful. The collection is available from Boots stores nationwide and from the Smashbox website.